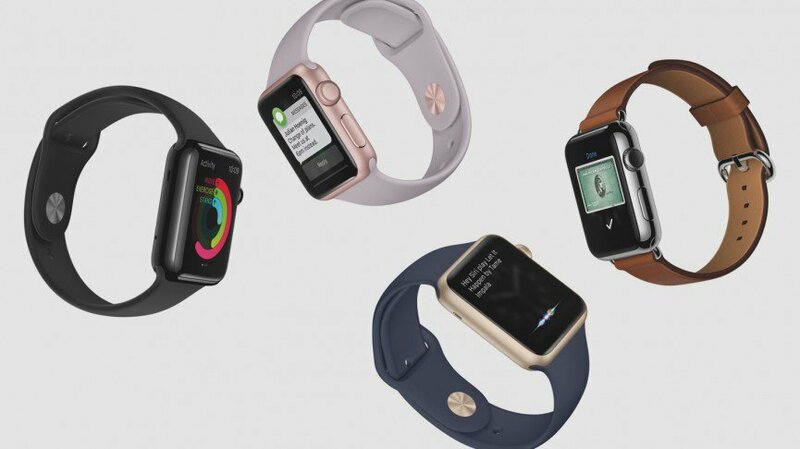 IDC says we will buy 173.4 million wearables in 2019 but which ones? It's 2019 and you're wearing a smartwatch. It's an Apple Watch. Or if not, then almost certainly it's running Android Wear or some other version of Android. That's the prediction of IDC, an analyst company which just published more data from its Worldwide Quarterly Wearable Device Tracker report. It says that 173.4 million wearables will be sold in 2019, up from a still impressive 76.1 million which will be sold by the end of this year. And even though fitness trackers are the wearable tech du jour, it's smartwatches which are set to sell and sell. IDC predicts 13.9 million Apple Watch sales in 2015 which suggests it foresees a bumper Christmas period for the Cupertino smartwatch. This would give Apple a ridiculous 58.3% market share for "smart wristwear" aka smartwatches or bands that run third party apps, much higher than pre-launch predictions. Still, by 2019 this will have dropped slightly as Android Wear and Android itself catch up. 2019 sales include 40.3 million watchOS devices and 32.6 million Android/AW devices. Together IDC predicts that these two categories will make up a whopping 85.8% of smartwatch sales. IDC's predictions don't bode very well for the Samsung Gear S2 which runs Tizen. Its chart says that Tizen will only increase sales from 1.6 million in 2015 to 1.8 million in 2019 shipments, though it would be interesting to see how familiar IDC's analysts are with the Gear S2 as it's impressed the tech journalist set, including our own James Stables. The report sees Tizen as a "dark horse": "With Samsung opening up the Tizen SDK and making its Gear S2 and subsequent devices compatible with flagship smartphones from other Android OEMs, the total available market for Samsung has opened up significantly. Still, as a current small player in the market, Tizen must win over customers currently looking at other watches available for Android smartphones." Another smartwatch platform that IDC sees as having a small stake in the wearable tech market is Pebble. With a solid, if not huge, predicted shipment for this year of 2.1 million smartwatches, we would expect Pebble sales to increase as more people, with varying budgets, buy their first smartwatch. But IDC reckons just 2.6 million devices running Pebble OS will be sold in 2019 suggesting that loyal base just isn't going to get any bigger. Proprietary operating systems also account for just 2.1 million sales in 2015 but as more and more outsiders get involved in wearables, from fitness names to fashion brands, this will rise to 7.6 million in 2019, that's 9% of the market. Which wearables do you think will dominate in four years? Let us know in the Wareable Forum.